With a choice if writing ink colours the Hayden Multi- Pen is useful for offices that require different ink colours for different documents. The Stephen Puzzle Pen is a great option as a novelty pen - not just for kids but for adults too. 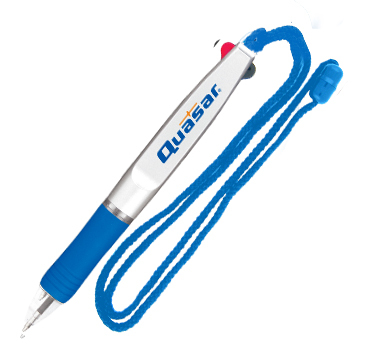 Light up your promotion with a fantastic new Logo Projector Flashlight Pen! Easily attached to any lanyard or mobile phone, this is a highly convenient item. Create a sense of wonder with a brand new promotional option from us! Performing a function, as most of these specialty pens do, gives you fantastic promotional benefits - when an item is used time and time again your client will be exposed to your marketing message on an almost continual basis. Our staff are here to help you select the best specialty option for you - give us a call at anytime. After the pen has been selected the team here really get to work by producing graphics that will make your pen stand out from the crowd - great design is an investment in your brand identity - we take it seriously!